Sweet and pleasant Sunday! 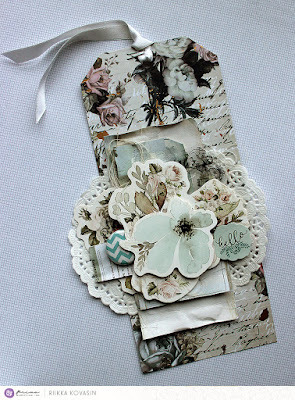 Here's another Creativation project finally shared - a layered tag using Vintage Floral collection. 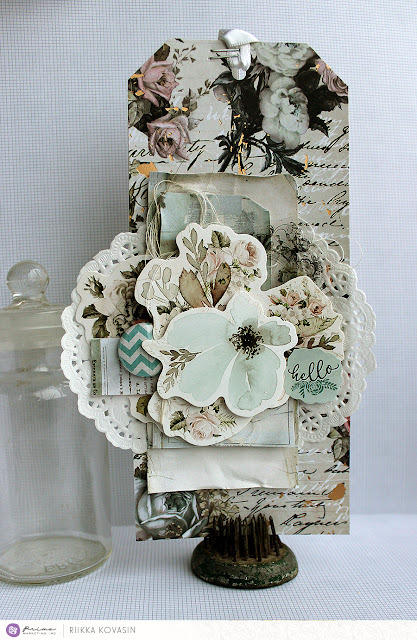 I love the tones of that collection! 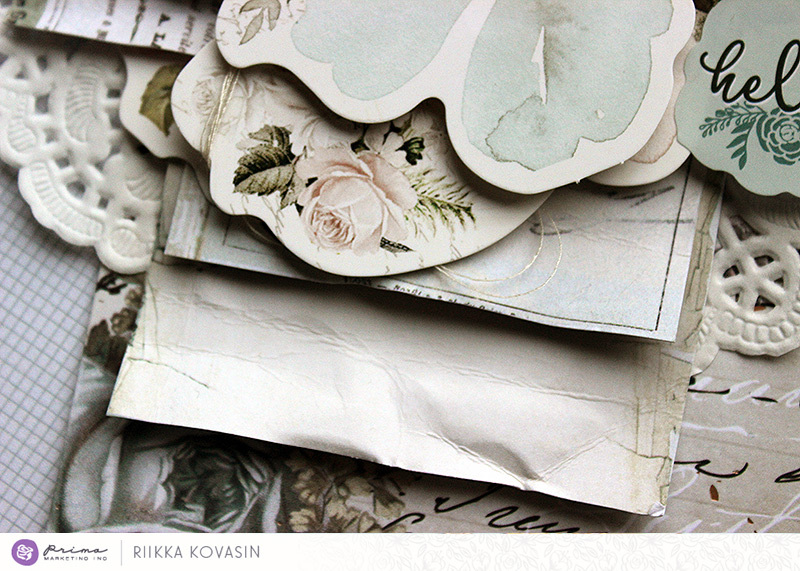 The collection is actually done for Traveler's Journals and Planners, but as it has 12x12 papers, you can also use it to scrapbooking. You can see some sneaks and inspiration from this post (link) in old Prima's blog. As the collection is done to TJ, you can easily embellish the projects using the Traveler’s Journal products. 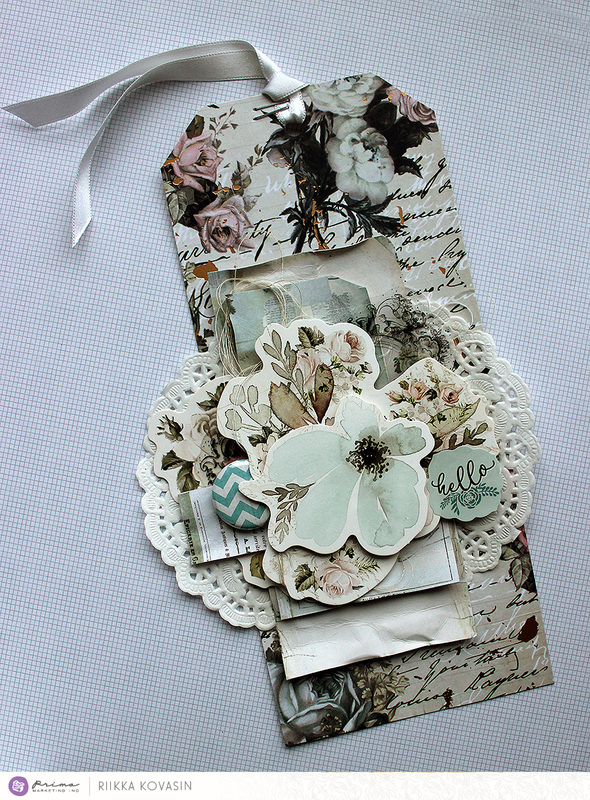 In this tag I layered some of the ephemera on top of each other and then added the cluster to a base cut from one of the Vintage Floral papers. 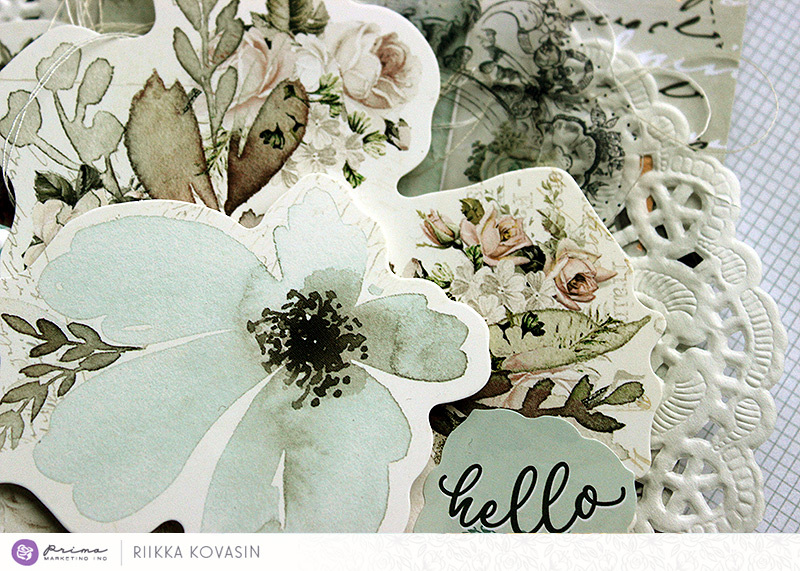 The pale blue and mint are a perfect match to the tea colored neutrals for a fresh summer look! Have a great start to the new week! Thank you for stopping by today!